“This was my first experience with Great Bear and I really enjoyed it. They are super professional and honest. They did not try to push any unnecessary service or component, quite the contrary, I was told my rear braking pads were a little worn out, but could safely be used for one more month. Besides that the service was extremely fast, well done, and they have one of the best prices around. 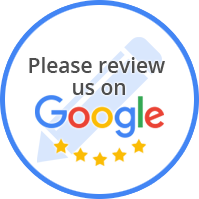 “There are NOT enough stars for Great Bear excellent service, I would NEVER trust anyone else with any of my cars, from classic to brand new. Everyone is amazing here! “I came to this repair shop on 06/04/2015 . -To all who are tired of being taken advantage of and up-charged for service and maintenance of their vehicle, this is the place to come for a truly honest consultation. The owner, and the staff of Great Bear Auto are complete professionals. They are educated and make it their staple to be fair and honest in the consultation process; especially when it comes to work required, maintenance, and the costs. I had the most positive experience, especially as a woman. Richie, the owner of Great Bear, even took the time to talk with me, explain my needs in a *comprehensive manner, and encouraged me to educate myself on my car- and he is right! Too many of us are taken advantage of for our lack of mechanical understanding. I felt confident in this shop's assessment, more importantly, I felt both I and my concerns were valued. I felt safe. I told them how extremely proud and honored I was to patronize their business.